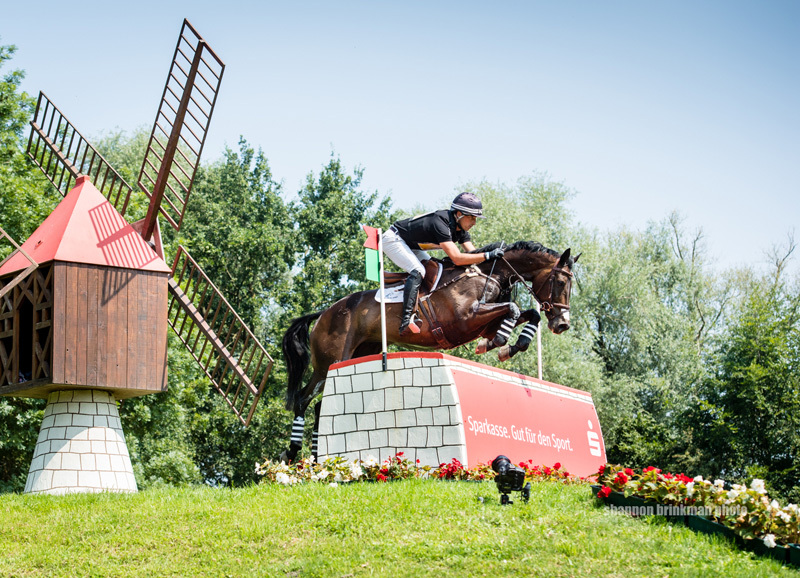 After the first two phases in the eventing Nations Cup at the CHIO Aachen, all signs indicated that it was going to be a success across the board for Germany. 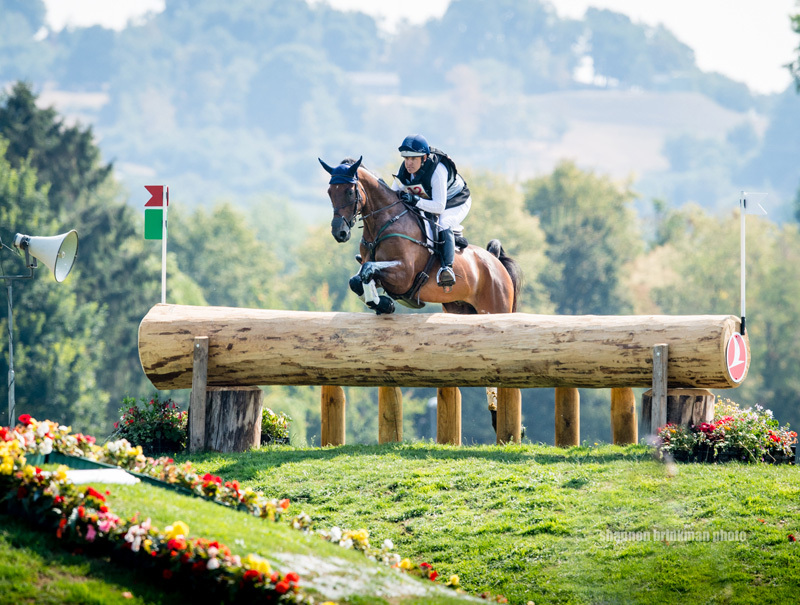 However, today’s cross-country course brought several surprises with it, especially for Julia Krajewski. 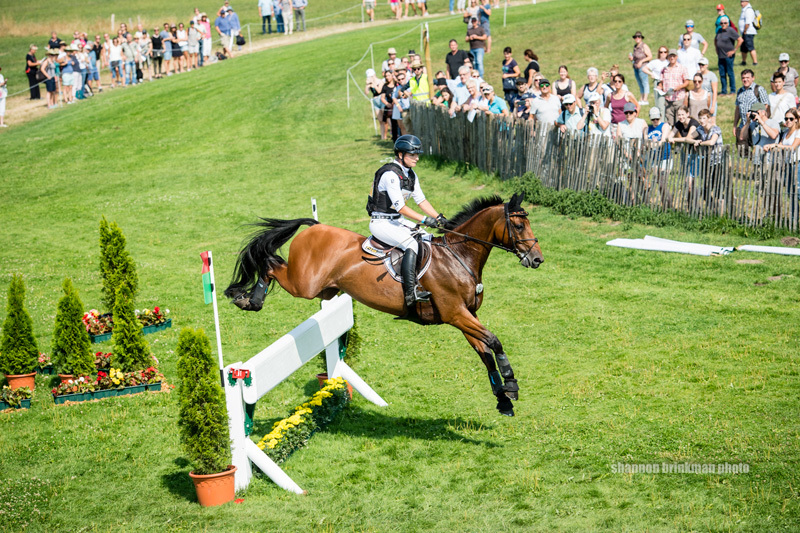 Before the cross-country, Krajewski was at the top of the individual rankings with Chipmunk FRH and Samourai du Thot, respectively, and was in the lead with the team in the Nations Cup. 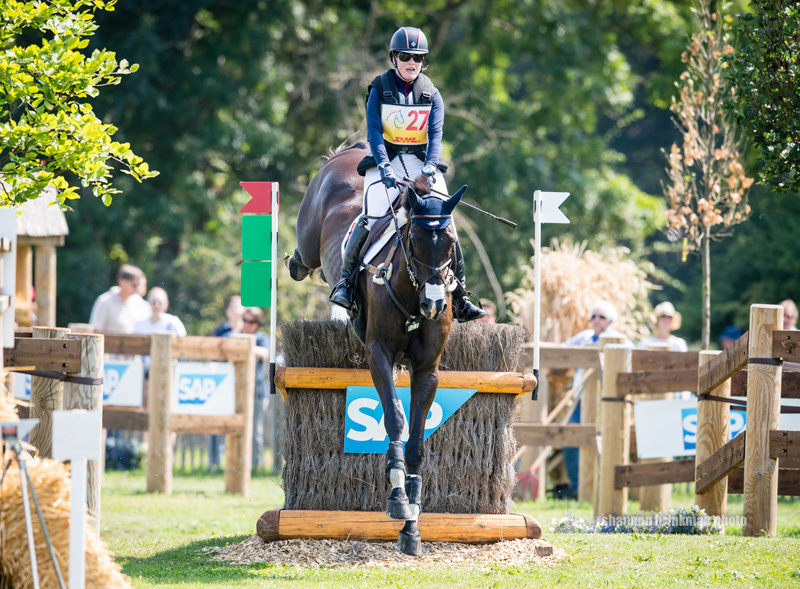 Krajewski, the national coach of the German young riders squad, had to set off on the track with her team horse first, the four-star winner Samourai du Thot, who was lying in second place in the individual classification at the time. He mastered the first part of the course without any difficulty, but it came apart at 16a, the SAP Complex. Julie Krajewski and Chipmunk FRH. Photo by Shannon Brinkman Photography. Wasn’t that the case today? “I had a very good feeling when I set off, but somehow or other we lost each other en route. We will analyze what happened afterwards,” she said. Kai Rüder’s Colani Sunrise refused to leave the start box for 40 whole seconds, and last year’s winning pair Ingrid Klimke and SAP Hale Bob OLD also had a run-out on the first element of 16. Combined with Andreas Dibowski’s tough show jumping ride yesterday, and the team ultimately finished fifth. Tim Price and Cekatinka. Photo by Shannon Brinkman Photography. The Nations Cup went to the team from New Zealand comprising of Tim Price with Cekatinka, who also came third individually, Clarke Johnstone with Balmoral Sensation, Sir Mark Todd with Kiltubrid Rhapsody and Blyth Tait with Havanna, ahead of the teams from France and Sweden. 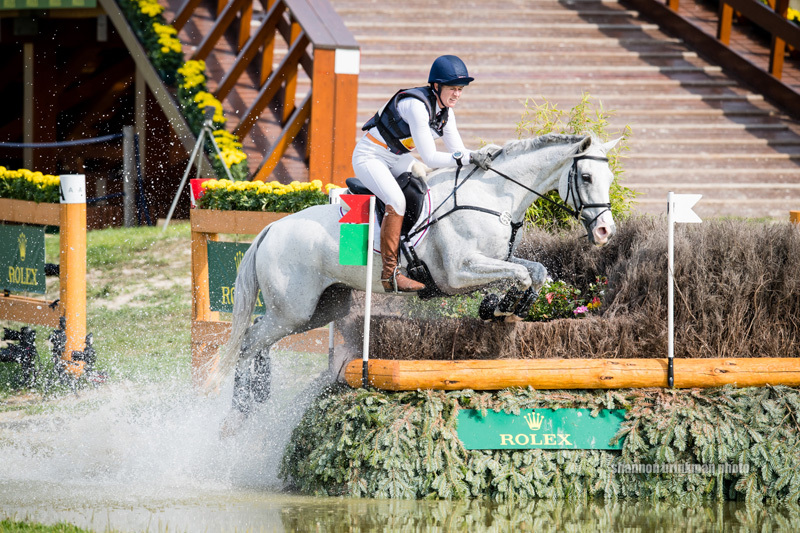 While the U.S. team was a disappointing seventh out of seven teams after yesterday’s show jumping, they seized the chance to move up in the standings today and ultimately finished fourth. Kim Severson and Cooley Cross Border finished the best of the Americans in 21st with 17.2 time penalties. Buck Davidson and Carlevo also contributed a clear jumping round but added 18.8 time penalties to finish 33rd individually. Lauren Kieffer and Landmark’s Monte Carlo picked up a runout at fence 20 when the gelding slipped on the approach. They also added 14.4 time penalties to finish 26th. Will Coleman and OBOS O’Reilly picked up penalties at 13b and 16a that resulted in elimination. Chris Burton and Quality Purdey. Photo by Shannon Brinkman Photography. Todd’s estimation of how many riders would stay in the time proved to be very precise. Only one rider succeeded in reaching the finish line clear within the time, Australian Christopher Burton with the Oldenburg mare, Quality Purdey. After the dressage and jumping they ranked fifth, but thanks to their clear round in the cross-country, they worked their way up to second place. “My horse did a super job. I simply love her,“ he said. He too confirmed that obstacle 16a was the most difficult fence. 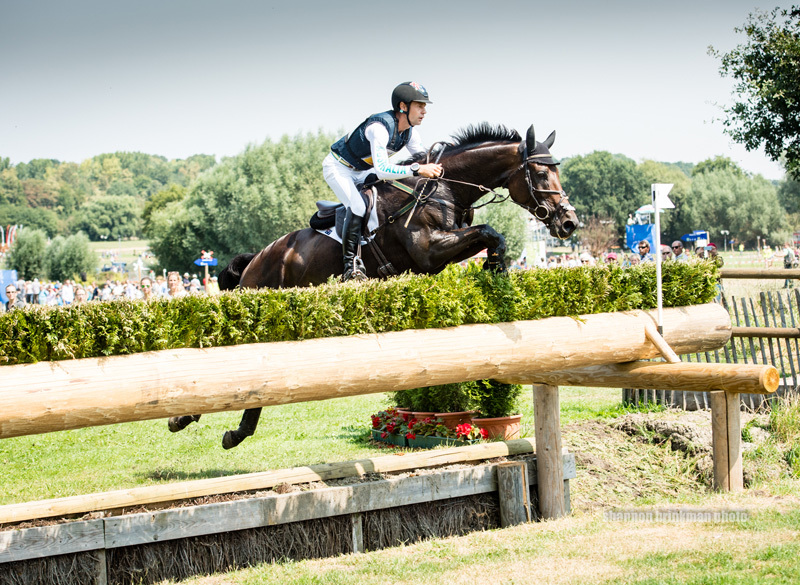 “But hats off to Rüdiger Schwarz he is a brilliant course designer,” he added. The reason Krajewski’s day not only brought a lot of frustration, but plenty of joy too, is called Chipmunk, a 10-year-old Hanoverian-bred gelding. For his rider, the first challenge involved putting the disappointment with Samourai du Thot behind her so she could concentrate on her next ride. “I know that they are both totally different, and just because it didn’t work out with the one, that doesn’t mean I wouldn’t be successful with the other one,” she said. Lauren Kieffer and Landmark’s Monte Carlo. Photo by Shannon Brinkman Photography. What are Chipmunk’s qualities? “He simply always wants to do everything right. He is a very honest, genuine horse. His attitude is as if he wants to say, ‘Let’s go, let me do everything, all is well!’” she said. But Krajewski was aware before the start that Chipmunk had never jumped such a technical and challenging course before. Nevertheless “Chip” proved once again that he can be relied upon. As he headed for the last obstacles in the main stadium after a solid round, 25,000 people cheered him and his rider enthusiastically. It was extremely touching for Krajewski, especially after experiencing such a roller-coaster of emotions. Chipmunk wasn’t quite inside the time, but after a super dressage test, the pair had such a big lead in the individual classification that they secured the victory on a score of 26.1. Burton finished on his dressage result of 26.7. Price ranked third with Cekatinka on a score of 30.3. Buck Davidson and Carlevo. Photo by Shannon Brinkman Photography.